If James Watkins’ frenetic Parisian thriller is remembered for anything, it’ll be that it comes across like Idris Elba’s unofficial audition to play the next James Bond. 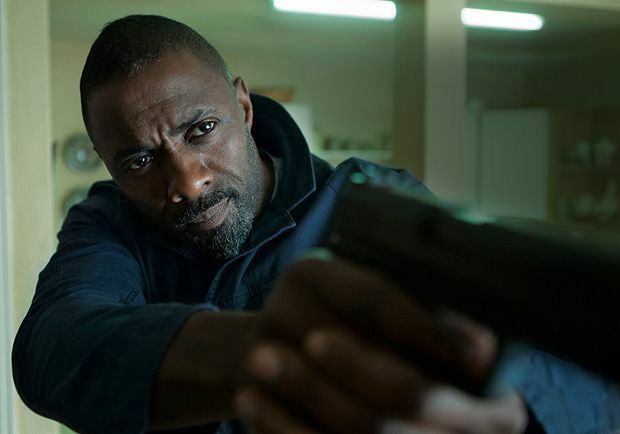 Many people’s favourite to assume the mantle when Daniel Craig sets down his Walther PPK, Elba is the crown jewel in this violent yarn from the director of The Woman in Black. A thrilling early sequence, as he chases Richard ‘Robb Stark’ Madden across rooftops in the French capital, bears close resemblance to the parkour stunt that opened Casino Royale. Elba plays Sean Briar, a tough-as-nails and taciturn CIA agent who punches before he speaks. Madden is Michael Mason, an American pickpocket who lifts the wrong bag when he steals from Zoe (Charlotte Le Bon), a girl who has fallen in with a team of anarchists behind a bombing campaign designed to ‘bring this city to its knees’ on Bastille Day. Containing Semtex hidden in a teddy bear, the bag explodes – and Mason is caught on camera as the suspect. But, as revealed by the increasingly far-fetched plot, one that echoes the recent John Hillcoat thriller Triple 9, these terrorists are not who they seem. The film also features Kelly Reilly (who starred in Watkins’ 2008 debut Eden Lake) as a CIA suit. Watkins keeps the action fast and furious – a blend of gunshots, squealing tyres and cries of ‘Mon Dieu!’ – as if he’s been watching a lot of Luc Besson films. But The French Connection this is not. Nor is it even V for Vendetta, with the sight of anti-fascist rioters feeling ill-conceived. And how audiences in France will react, given the terror attacks of November 2015, is another matter entirely. But, on the plus side, it’s funny – sometimes unintentionally so – and delivered with the handbrake off. Never mind Elba, this might be Watkins’ 007 calling card. General release from Fri 22 Apr. Sean Briar (Elba) is a tough CIA agent who uncovers a bomb plot in Paris. Frenetic thriller which comes across like Elba's audition for 007; the France terror attacks of November 2015 make it seem ill-timed but it's fast, furious and (sometimes unintentionally) funny.